Having to maintain and hydrate my rebonded hair, I do a home spa treatment every fortnight. I would inevitably pick up L’Oreal Professional Repairing Cream Bath every time from my neighbouring superstore untill last month when it went out of stock. Reluctantly, I bought Matrix Hair Spa cream as I didn’t want my hair to turn into a frizzy mess till the time L’Oreal spa cream could arrive. 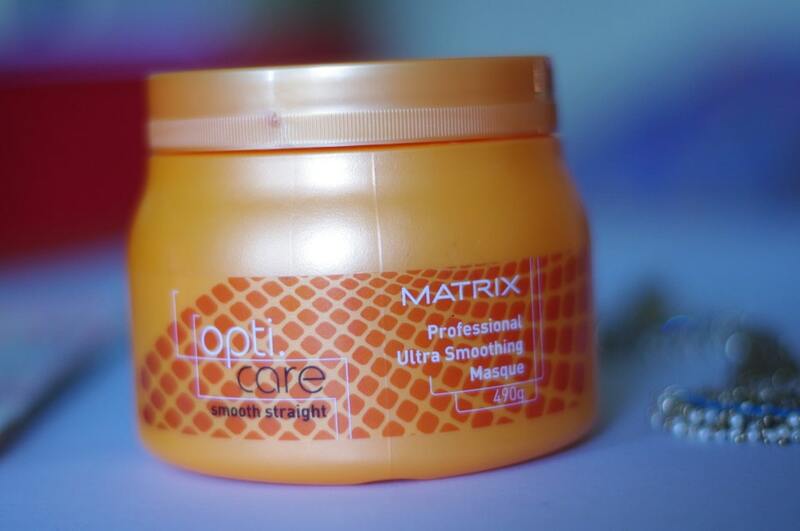 So, here is my candid Matrix Opti Care Professional Ultra Smoothing Masque Review. Opti Care Smooth Straight is a professional hair care line formulated to help control and smooth chemically straightened hair. Enriched with Silk Amino Acids and Shea Butter to help protect, condition and moisturize for healthy looking, silky, shiny hair. Professional Ultra Smoothing Masque provides intense conditioning to satisfy the extreme needs of very dry, coarse or chemically straightened hair. 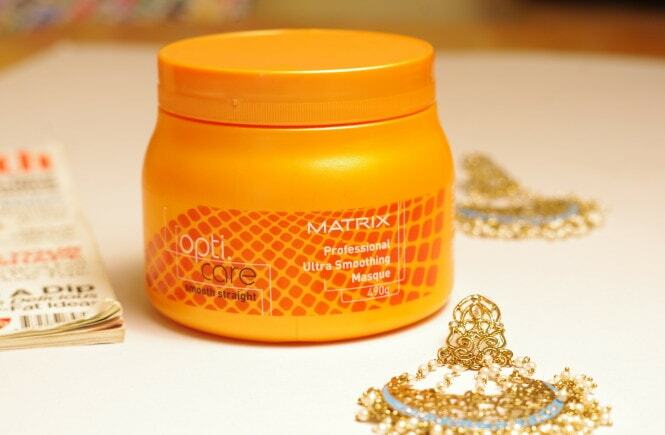 It smoothes texture and disciplines frizz to leave hair soft and manageable. Apply to clean, damp hair. Distribute evenly, section by section. 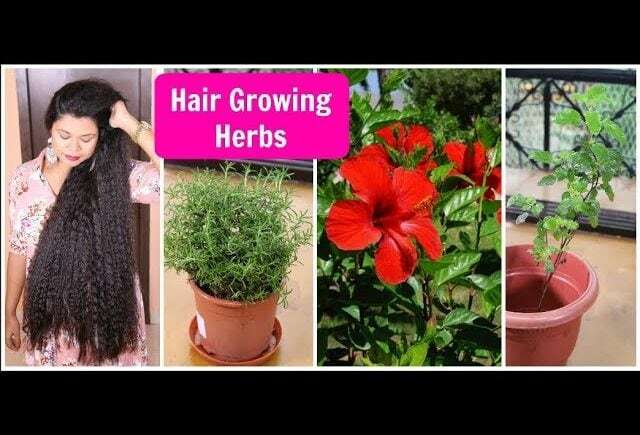 Learn on hair for 15 minutes with or without heat. Rinse thoroughly. In case of contact with eyes, rinse immediately. Water, Cetearyl alcohol, Behentrimonium Chloride, cyclopentasiloxane, Stearyl Alcohol, Centyl Esters, Fragrance, Dimethicone, Methylparaben, Benzyl Salicylate, Shea Butter, Hexyl Cinnamal, Butylphenyl Methylproponal, Chlorhexdine Dihyrochoride, Sodium Citrate, Limonene Silk, Amino Acids. Comes in a round large plastic tub, which looks heavy but isn’t. The burnt orange colour is attractive and makes the product stand out on shelves. The jar is secured with a screw cap which works fine and doesn’t leak. 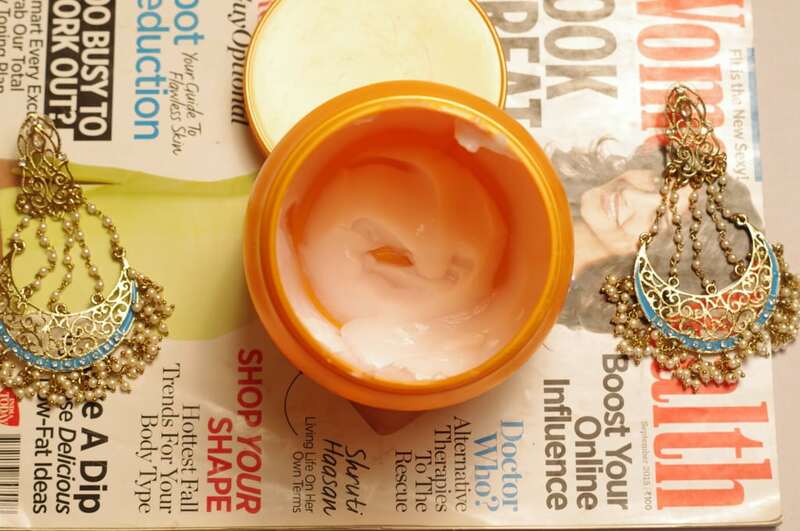 With most high-end hair care products being packed in dainty glass bottles, the solid plastic jar is a relief for clumsy people like me who keep dropping and breaking bottles. The packaging is almost like the L’Oreal creambath with the only difference being that of the colour. The jar comes with a screw neck cap. 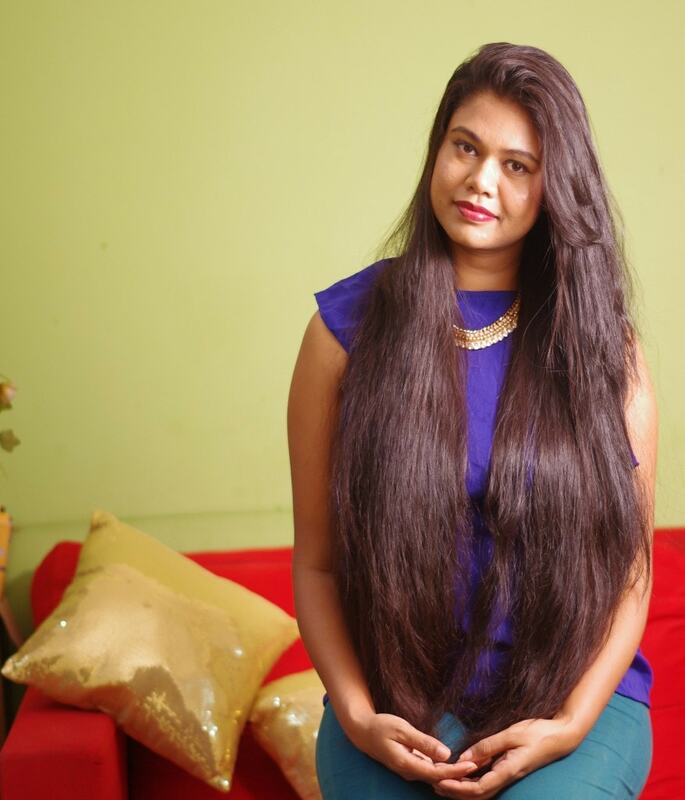 The quantity of the product offered is great and would last quite long for those with short to medium length hair. For my hair, it lasts 4-5 times. The cream has very mild and pleasant smell which goes away on rinsing. I don’t prefer heavily scented conditioners and spa creams as they remain applied in the scalp for a while and the over-powering odors seep in deeply in hair. These fragrances refuse to leave even after washing. Faint and pleasant smells add to the relaxing experience of hair spas. 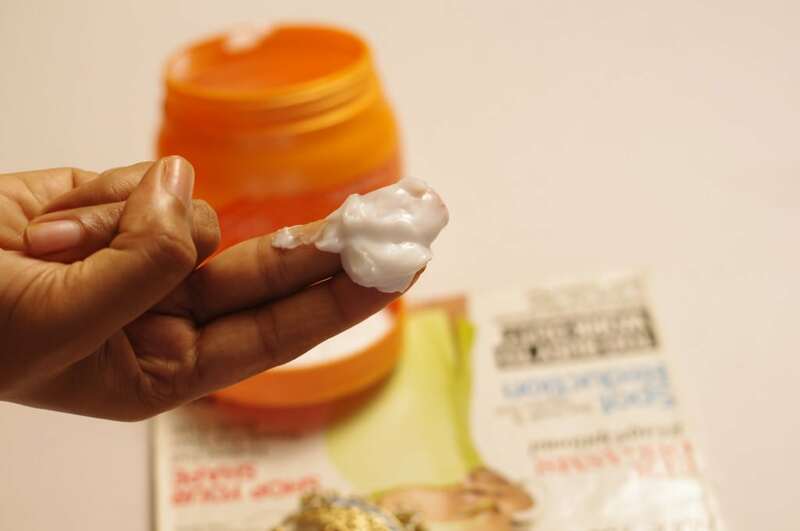 The white coloured cream is very smooth and glides between the fingers and damp hair. 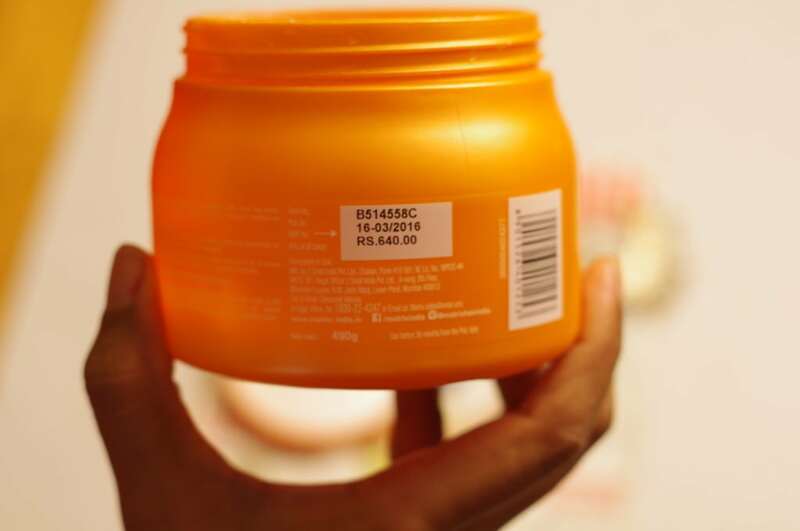 It has a medium consistency, neither too light as gel nor too rich as a cold cream. 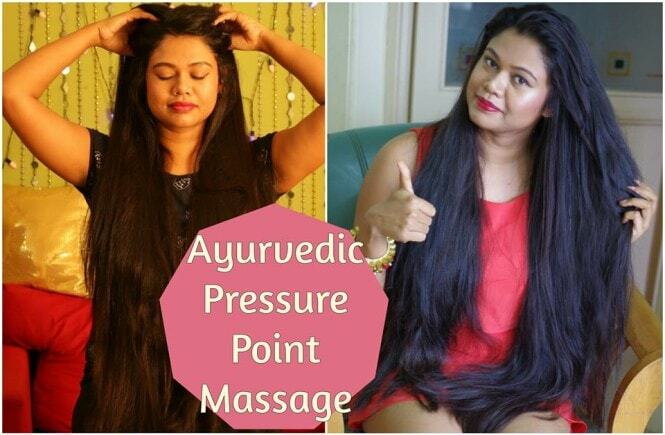 Just perfect for nourishing the hair strands without being sticky! I love the way it sways on my palms during head massages, adding lubrication and hydration to hair. Being left applied on hair, it doesn’t dry out until, offcourse, one sits under a ceiling fan. 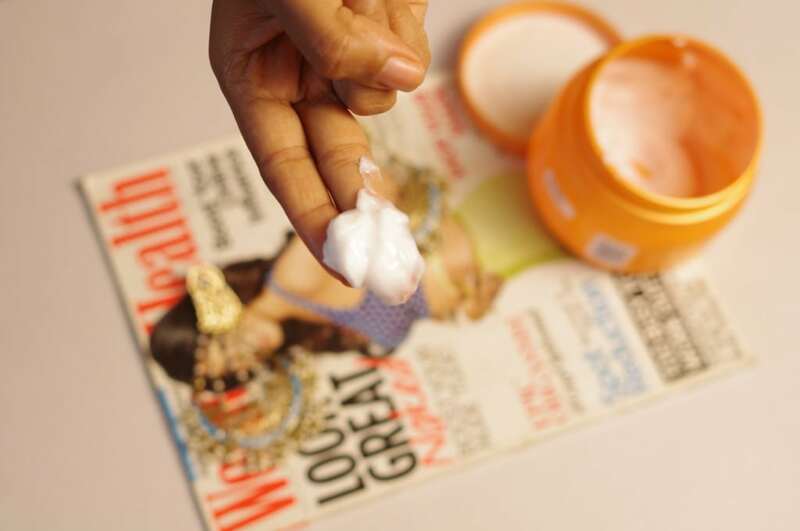 The cream is easily to rinse and doesn’t leave any sticky traces behind. I apply generously on my damp hair, section by section, followed by a gentle scalp massage. 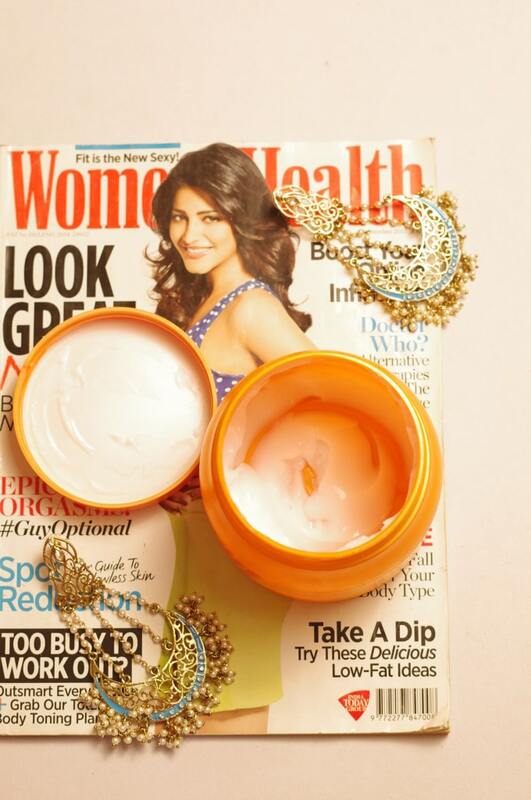 The cream feels light and relaxing on hair. Post spa treatments, my tresses come out softer and shinier. It doesn’t leave any stickiness behind. 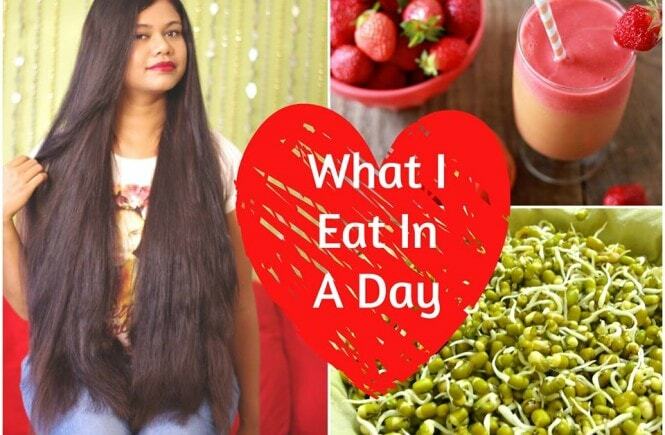 Besides, spa treatments I use it as regular conditioner on special days and occasions for sleeker looking hair. 3. Has a balanced texture, nor too light neither heavy. 5. Isn’t sticky, rinse off easily. 6. Generous quantity. Lasts 4-5 spa treatment even with long hair like mine. 2. Contains Alcohol and Parabens. 3. Very bulky in size, unfit for travel around with.